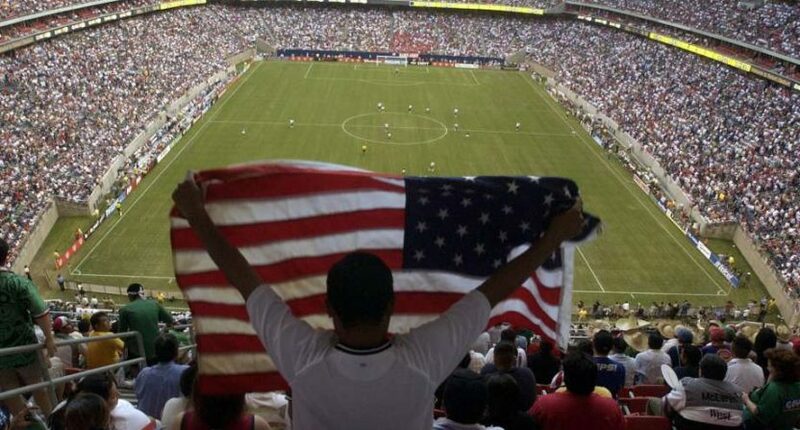 Can the United States win the soccer World Cup in 2022? Soccer is the most popular sport in the world but one of the most enthusiastic sporting nations has never got close to winning the World Cup. The United States has its own version of football but in many countries in Europe and South America association football is the sport that matters most. Every four years the best footballing nations compete in the World Cup and Qatar stages the tournament in 2022. Leading UK bookmakers (brand list based on comparison site: topbettingapps.co.uk) are currently placing The United States around the fifteen place in terms of wining, but does the US have any chance of being the soccer world champions for the first time? The FIFA world rankings measure the relative performance of international teams. In the middle of February 2019 Belgium were at number one in the standings, followed by France who won the World Cup in 2018. Only nations from Europe and South America appeared in the top 10. The United States are part of the CONCACAF association in which the highest ranked team is Mexico at 17th. They were eight places below which suggests a team without the potential to win the World Cup. The United States played in the World Cup in 1934 and 1950 but did not qualify again until Italia 90. As hosts four years later they qualified automatically and reached the round of the last 16. In the four subsequent tournaments reaching the quarter finals in 2002 was their best effort. The States did not qualify for Russia in 2018 and the qualifying process for 2022 has not yet begun. The climate and playing conditions will be tough in Qatar but four years later the US host the tournament with Mexico and Canada. That could be a more realistic target than 2022. However, they have played well in recent association international tournaments which does augur well for the championship that matters most. The United States are currently the best team in the CONCAFAF association which brings together countries from North America, Central America and the Caribbean. They are the current CONCACAF Gold Cup champions and have won the title five times in the last nine tournaments from 2002 to 2107. However, no CONCAFAC nation has won the World Cup which is dominated by the major soccer nations in Europe and South America. The best players in the world gravitate to the major domestic leagues in Europe, especially the English Premier League. Television money means clubs can pay the wages to attract the best coaches and players. No member of the latest US squad for the friendly against Costa Rica in February 2019 plays in Europe. In fact each member of the 20 man squad plays in MLS, the national league in the United States. The national team is at a disadvantage when they meet opponents from UEFA and CONMEBOL, the respective associations in Europe and South America. Just about the best player in MLS is Wayne Rooney who came from England to DC United in Washington. However, the record Manchester United and England scorer is at the end of his career. The fact that Rooney stands out past his best tells its own story about the standard in MLS which provided all the players in the latest national team squad. In the last 12 months (from February 2019) 44 players had made the US squad of which 26 played in Europe. However, there were no representatives from the clubs in Europe who regularly play in the Champions League. US national team players compete against fellow squad members in the MLS so are not exposed to the best players in the world. That scenario makes it difficult to compete in international fixtures against the best teams from Europe and South America. To win the World Cup a team must beat the likes of Brazil, Argentina, Germany, France and England. Their players are key members of squads who win the Premier League in England, La Liga in Spain, Ligue 1 in France, the Bundesliga in Germany and Serie A in Italy. The Champions League bring together the best club sides in Europe. The richest clubs in Europe are hugely wealthy because the Champions League generates vast wealth from global television audiences. The winners of the Champions League would probably beat the best international teams because they are not restricted by nationality. The competition matches the best players against the best and no US squad members are regulars for the qualifying teams. When the United States then come up against the best international teams they do not have the experience or quality to compete. The winners of the MLS would struggle in the Premier League in England and their level is more likely to be the second tier. In recent years France and Spain have focused on establishing a structure throughout the age groups of the national team. They were the World Cup winners in 2010 and 2018 respectively. England are embarking on a similar project and reached the semi-finals of the World Cup in 2018. Germany have always had a coordinated structure amongst the national teams and they were the world champions in 2014. The United States must adopt a similar policy and hope their better players are given opportunities to play in Europe but that process takes time. The United States played 12 matches from the start of 2018 to February 2019. Four of those fixtures were against teams from Europe and they lost three and had one draw. At the start of 2019 the US beat Panama and Costa Rica at home, scoring five goals and conceding none. The team have been successful at their own level against fellow CONCACAF members but are outclassed by the European sides. In November 2018 England won a meeting at Wembley 3-0 which was a good indicator of the United States standing in the world game. On current form winning the next World Cup looks beyond the United States but given player development and experience overseas they could be contenders at home and in Canada and Mexico in 2026. The average age of the latest squad in February 2019 was about 24 so the next but one World Cup is too late for those players. It is hoped that visitors from Europe like Rooney inspire a new generation of players who could be at the right age to win the World Cup in 2026 but not in 2022.